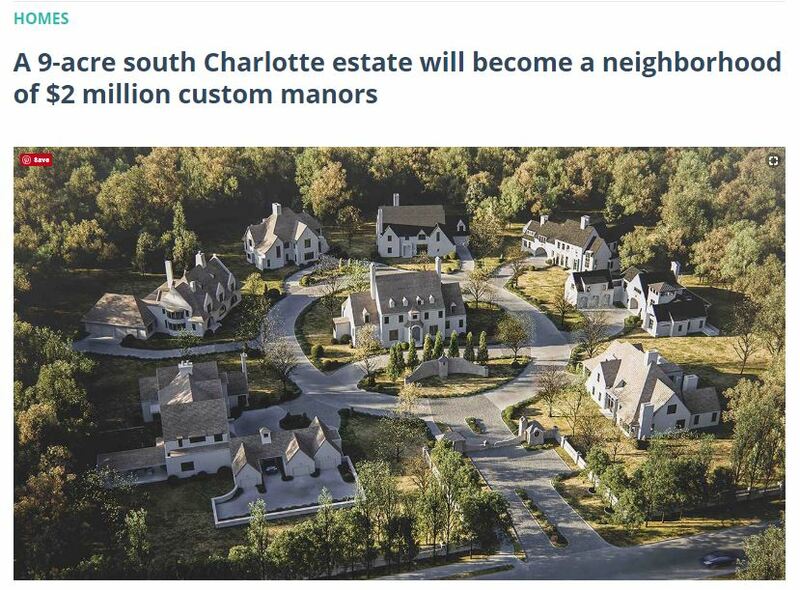 “A secluded 9-acre south Charlotte estate will soon become a gated community of homes spanning more than 5,000 square feet. Grandfather Homes announced this week that they’ll be building 7 new houses on the property near Providence High — with prices starting at $1.6 million. The original home, built by the Litaker family in the 1970s, will remain at its center. » Read the full article here.